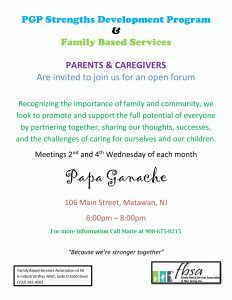 FBSANJ – Family Based Services Association of New Jersey, Inc. 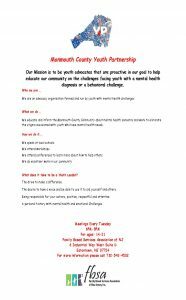 The mission of Family Based Services Association of New Jersey (FBSANJ) is to support, educate and advocate on behalf of Monmouth County Families who have children with emotional, behavioral and mental health needs. As part of our mission, we also serve families who have children with co-occurring behavioral challenges and developmental delays and/or difficulties related to substance use. We support parents and caregivers. 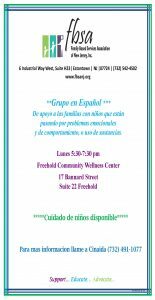 Our culturally competent family support partners have "walked the walk" of our families and are thus uniquely positioned to help the family understand and find hope in spite of their difficult situation. We help families identify goals and benchmarks that will lead to a better, more fulfilling life for their children and entire family. We can assist families at critical times such as making referrals to PerformCare to enter the Children's System of Care, crisis units at hospitals, and at school-based meetings. We educate parents and caregivers regarding their rights and responsibilities as parents. Our staff mentors parents on the specific challenges their children and family are experiencing and helps them learn about options available in their local communities. We advocate on behalf and for parents and caregivers. Our staff and family / clients practice the advocacy skills that empower a family to discern the services they need to ensure healing and success. 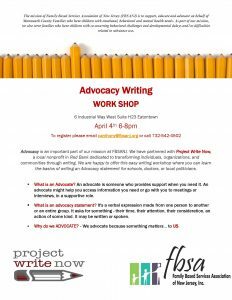 On a more global level, we encourage and provide opportunities to interested families to speak publicly about their journeys and contact various levels of elected officials and government agencies to advocate for their families and community. 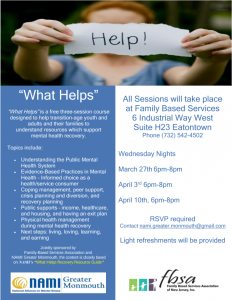 “What Helps” is a free three-session course designed to help transition-age youth and adults and their families to understand resources which support mental health recovery. 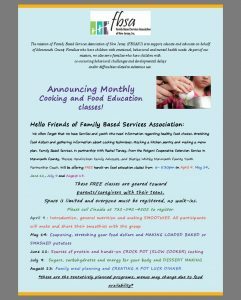 Introduction to the healthy families cooking program, we will go over general nutrition. All participants will make and share their smoothies with the group.